Virginia Residency Program Provides Full Barns, And A Future. The following was written by Nick Hahn and appeared in The Racing Biz on April 12th. Call it a one-two punch. Governor Ralph Northam’s signing of House Bill 1609 that allows historical horse racing at Colonial Downs and satellite facilities is the second step of a Virginia Thoroughbred industry revitalization process that actually began with a promising incentive program launched last year that is already having visible benefits. Historical racing is a form a wagering that allows players to bet on previously run races without knowing which races they are wagering on, creating a slot machine-like outcome. Advocates project the machines could generate over $160 million in revenue by 2022 to the company that operates them, expected to be Revolutionary Racing after it settles with current owner Jacobs Entertainment on the sale of Colonial Downs. And the machines are expected to generate millions for racing purses. As important as the reopening of Colonial Downs is, however, the track will only thrive if there are horses to run at it, and the Virginia Certified Residency Program is helping to foster that population. 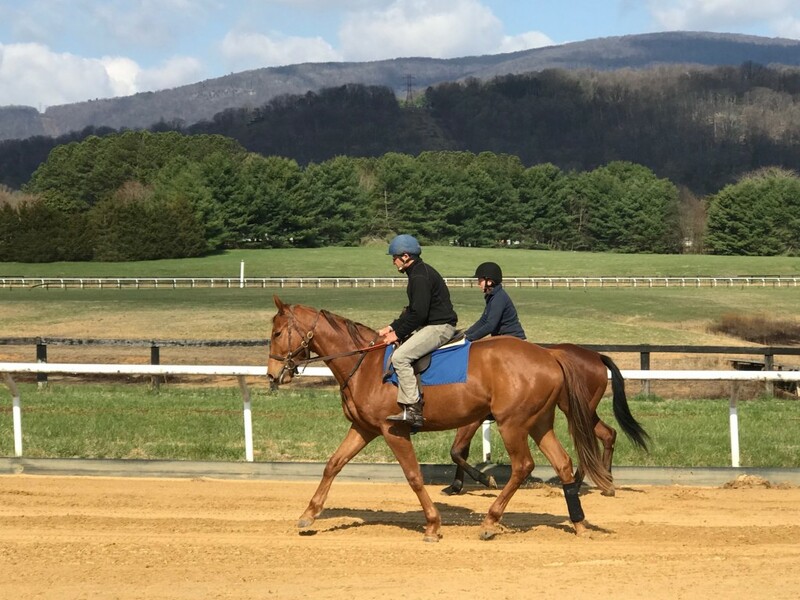 The program encourages owners to keep their horses in Virginia for a minimum six-month residency prior to the start of their three-year-old year. 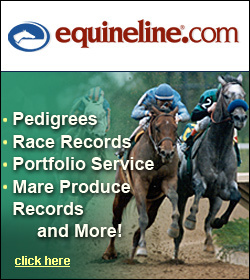 Owners of certified horses can earn a 25 percent bonus for wins at mid-Atlantic racetracks (details here). The promising incentive program is filling the barns of established racing and training entities that previously were searching for viability and now could be headed toward vitality. On the track at Braeburn Farm. Photo by Nick Hahn. At DMC Racing Stables in Berryville, proprietor Diana McClure saw nothing but dwindling numbers across the board until the announcement of the program. There were no new clients for McClure, and the ones she had were bringing fewer horses to her for a shorter period of time. After a few months of signing up, McClure would see the number of clients rise, the number of horses rise and the duration of their visits lengthen. McClure reports that her horse population has risen from around five to 18. Her husband, Mike, previously ran their northern Virginia farm with the help of one-part time employee. Now the farm payrolls two full-time employees and five part-timers. Her feed bill frequently spills over $1500 per week, double what it was. What’s more, horses that used to come for a brief breaking period — the so-called “90-day wonders” – are staying longer and benefitting from a higher level of workmanship in breaking and training. That, says McClure, makes “owners happy to do it,” getting a better horse when it comes back to New York or Maryland or Pennsylvania. The benefits are being widely seen across the Commonwealth. At Eagle Point Farm in Ashland, just down the road from where Secretariat was foaled, Donna Dennehy is spreading joy. A little more than a year ago Dennehy had two yearlings on her farm; now she says she has 24. Dennehy has actually had to turn horses away in recent months. Many are staying well over their six-month minimum, and should Colonial Downs open in 2019, could stay for even longer – like permanently. “Residency can lead to breeding, which would be nice since we’ve sure lost some biggies,” noted Dennehy echoing back to the relatively recent losses of an older generation of horsemen like Edward P. Evans, Nellie Mae Cox, William Backer and Randolph Rouse among others, yesterday’s giants that many of today’s Virginia horsemen knew, worked with and even raced against. At scenic Braeburn Farm in Crozet, just outside of Charlottesville, Patrick Nuesch has spent many of his mornings galloping horses alone. In a family loaded with horsemen, Nuesch was seeking answers to maintain the lifestyle he’s always known. At one point, Nuesch was able to count the number of horses in his barn on both hands, but he now sees the stall chalkboard covered in white as he walks into his office every morning. While Nuesch is very hands-on in his approach to handling horses, he’s enjoying the ability to delegate to the extra staff he now enjoys. No longer does he have to perfect his craft in solitude. An empty 23-stall barn alongside the one he recently filled may see its doors reopened soon. Nearly all of Virginia’s horsemen have longed to connect with Virginia’s significant thoroughbred past. Dominant in racing in the early days of the Republic, Virginia became known as a breeding state after racing was banned in the early 1910s. Virginia horsemen continued to bred numerous Triple Crown race winners well before and well after Triple Crown-winning Secretariat. When racing finally attained legislative approval in 1989, it took eight years to open Colonial Downs in 1997. Colonial Downs’s turf has lain dormant since July 13, 2013, (other than a single day of nonwagering steeplechase racing held in 2014). Looking forward, Virginia’s live racing future is now, well, Revolutionary as in Revolutionary Racing, headed by Larry Lucas and Prentice Salter. That group is scheduled to close on the purchase of Colonial Downs within the next months, according to sources, and live racing could return to central Virginia in 2019, six years after the last time the racing lights over its magnificent turf course went dark. Horsemen have been able to gain a year of solid momentum thanks to this incentive program leading up to the opening. With the Governor’s signature now on House Bill 1609, the incentive program just became more valuable and could thrive in the long term. Many of the 92 horse outfits registered as part of the certified program keep their thoroughbreds in Virginia’s traditional thoroughbred triangle between and among Charlottesville, Richmond and northern Virginia. That’s also the triangle in Virginia usually under significant development pressure. Virginia horsemen know that in horse racing’s economic equation, it doesn’t take much to throw the equilibrium off. Yet in the last twelve months, their futures have become, for the first time in a long time, more stable.